Just Mobile Highway Duo car Charger provides a stylish, versatile way to keep any iPhone, iPad, or iPod powered up while you're on the road. Simply plug it into the power or cigarette lighter socket and you're ready to go. Thanks to a high-grade aluminum head, it blends beautifully with your car's interior. 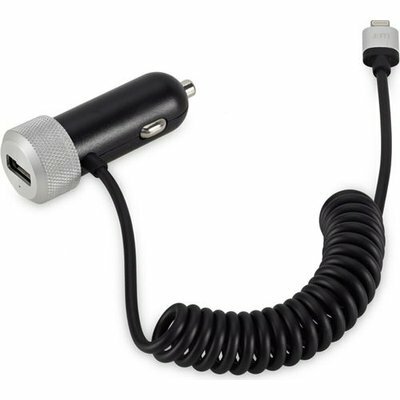 And the built-in coiled Lightning cable makes it easy to charge the latest iOS device models mounted on your windshield or dashboard. There's also a USB port for simultaneously charging an iPhone, iPad, or iPod with 30-pin dock connector.